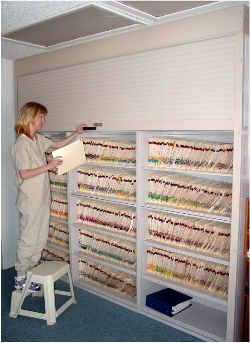 Secure Medical Records Storage is achieved with a variety of storage systems ranging from Rotary Files, Compact Shelving, Fixed Shelving with locking doors, Shelf File Cabinets. Whatever your HIPAA requirement may be to lock down files, we offer it in one of our secure storage systems, from small systems to very large. 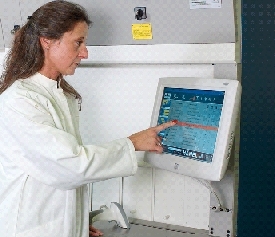 Our system designers are able to meet your requirements to store medical records efficiently with any necessary growth and while still meeting critical security requirements. Medical Records storage has been heavily scrutinized in the media with the release of sensitive and private medical data. 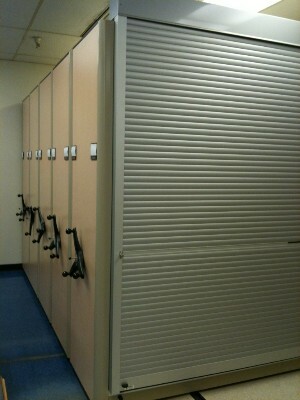 Protect medical records with secure storage solutions.